Never before has such a pairing of products felt so right. With the recent boom in coffee drinking, it seems only natural to venture into new ways of enjoying caffeine. What better way than with a dose of THC? The buzz of caffeine wakes you up while the high of cannabis keeps you level and going throughout the day. It is more than likely that wherever you go today, you will come across a coffee shop. Be it an independent business or a street-dominating chain, it seems there is no end to their presence. The recent boom in coffee drinking has led to more brands and products than ever before. Many households are unable to function until that first hit of caffeine kicks in every morning. But what if there was a way to further enhance that buzz that so many of us dearly crave? The answer lies in an unexpected pairing. Cannabis-infused coffee, also known as a “hippie speedball,” proves that there is no stopping the coffee hype train. With the practice of making coffee being simple enough, companies are now targeting a group of consumers at the intersection of coffee and cannabis. We'll be honest, what's not to love about the buzz of the caffeine first thing in the morning, with a slowly-rising sativa high to follow throughout the day? If you agree that these two make an iconic pairing, follow along below to see some of the brands making the leap into this new market. Then, we’ll offer you an easy cannabis-infused coffee recipe to make at home! In strolls Brewbudz. As the name would suggest, coffee and cannabis has become their thing. What really sets them apart from any other cannabis coffee brands is their eco-friendly nature. Just by looking at the design, you can tell that sustainability is a major tenet of their products. Their coffee pods are designed to be single-use, yet fully compostable. Furthermore, the packaging itself can be composted. Using a Keurig or Keurig 2.0 brewer, you can have fresh coffee with a buzz in minutes. If coffee isn't your thing, they also have numerous tea varieties as well as cocoa. What really helps is the variety of doses available with Brewbudz. 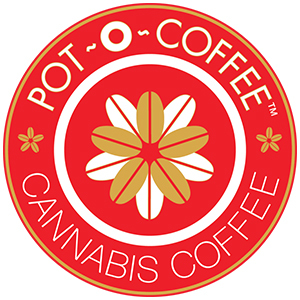 Their cannabis coffee comes in doses ranging from 10-50mg of THC. Of course, THC is the active cannabinoid in marijuana that gets us high, so being able to manage your dose is a huge advantage. I'm sure we can all think of days where a 10mg dose just won't cut it! 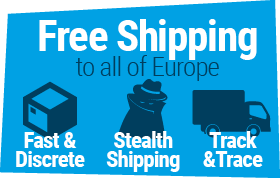 Nothing screams quality product like a play on words. 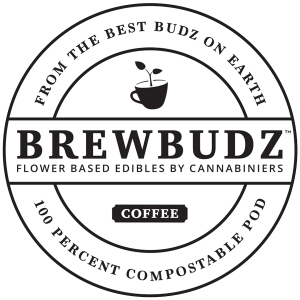 Similar to Brewbudz, the Pot-O-Coffee pods are designed for Keurig brewers. The difference here, however, is that the cannabis-infused pods come with either a blend of CBD or THC, including tea and chocolate varieties. With a whopping 100mg dose available, this can definitely help kickstart your day if you are not a morning person. The biggest downside is that Pot-O-Coffee is currently only available in California. A bigger rollout is planned, but it may be some time before we see this brand take the leap across the pond. 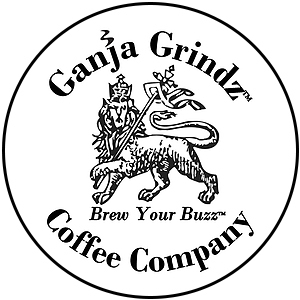 Priding themselves on using locally roasted, fair trade coffee beans, it will come as no surprise that this particular brand of cannabis coffee caught the eye of the judges at the High Times Cannabis Cup. Placing 1st in the Edibles category is a powerful accolade and a sure sign of a quality product. With tea bags, coffee filters, blended bottled coffee, and brew cups, they have all your cannabis-infused needs covered. Combine that with a large variety of flavours and waking up has never felt so good. 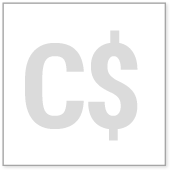 Less is more with Canyon Cultivation, an ethos they have taken at every stage. Be it their subtle product design or the low cannabinoid dose of their coffee drinks, this brand puts forth a strong statement in cannabis-infused edibles. This perspective may put users off, but if that gentle pick-me-up is what you require, then Canyon’s cold brew is the perfect product for you. 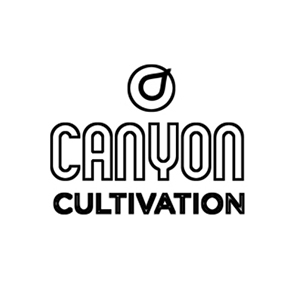 Still held in high regard by High Times Cannabis Cup judges, Canyon Cultivation also includes a variety of teas very similar to the other brands listed. 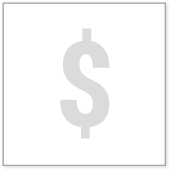 All around, a strong, well-presented product. Last, but by no means least. Taking the cannabinoid cake, House of Jane offers the highest THC dosage at a staggering 200mg. There is no doubt that this brand takes the cannabis-infused coffee process seriously. Their smallest dose starts at 20mg, so you can be sure to find a dose that suits you, along with a wide variety of coffees and teas to match all tastes. 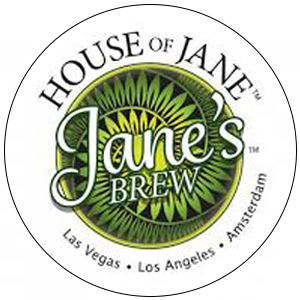 House of Jane is also able to offer a number of CBD strains (something we don't see from every manufacturer) while keeping products fat-free, sugar-free, and gluten-free. While the above brands represent only a taste of what the cannabis coffee market has to offer, there is no doubt that homemade is often preferred. Lucky for you, we have a ready-to-go recipe on how you can combine your favourite cannabis with your favourite coffee. 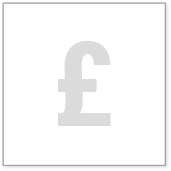 A very straightforward and simple process that will have you reaping the benefits of both these commodities in no time. What's more, cannabis-infused coffees are very discreet. No aroma or cannabis aftertaste means they can be enjoyed anywhere, anytime. Go on, what are you waiting for? Get brewing! Before we get into brewing, let’s decarboxylate the weed to make all those cannabinoids nice and bioavailable. Heat your weed in the oven for 30–40 minutes at 104°C–113°C, then let it cool. Using a saucepan, bring roughly 3 cups of water to the boil. With your now-boiling mixture, add 2 tablespoons of either the butter or coconut oil. Both work perfectly fine, but coconut oil is typically considered a healthier option. The amount of weed you need to add comes down to personal preference. 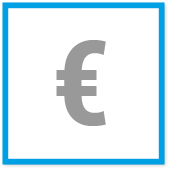 As always, start small to gauge how strong the combination will be. When you have decided on a good amount to mix, place the weed into the saucepan. Often, a “good pinch” is usually sufficient per cup. One cup, one pinch, and so on. Allow this mixture to simmer for around 30 minutes. You want your liquid to bubble gently throughout this stage to make sure the weed and the butter/oil bind. Now, the mixture is ready to be strained. This will remove any unnecessary plant matter. We’ve harnessed all the useful properties of the weed, so simply discard the rest. Ready to go! At this point, you can add the coffee as you normally would. Both filtered or instant work. The boiled mixture replaces the boiled water used to make regular coffee. Milk, cream, or a dash of cinnamon or nutmeg can also be added. It all comes down to your own taste. Just make sure to give your drink a decent stir to help mix everything. Rest assured though, that first cup of the day will be the best you ever had. One final point to make. Cannabutter can be made ahead of time and frozen so that it can be saved and used when required. When using it in your cannabis coffee, just skip steps 1-5. Instead, heat the butter on low to liquefy it, then add to the coffee mix. Cannabis coffee in an instant!